Fixing the Gap – what would it look like? 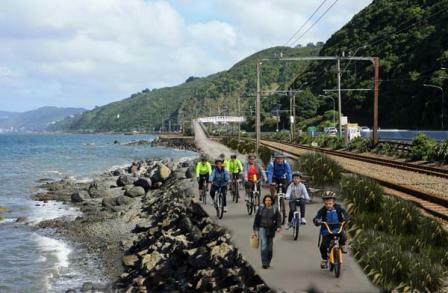 Part of the Hutt Corridor Plan (don’t forget to get your submission in by 15 June) is an improved cycling and walking path from the Petone foreshore to Horokiwi, connecting with an improved cycle path to Ngauranga. This would be an exciting development, making for comfortable cycling and walking all the way around the harbour. This image shows what it could look like.